If you are looking for some exceptional wreck and bottom fishing action then look no further! 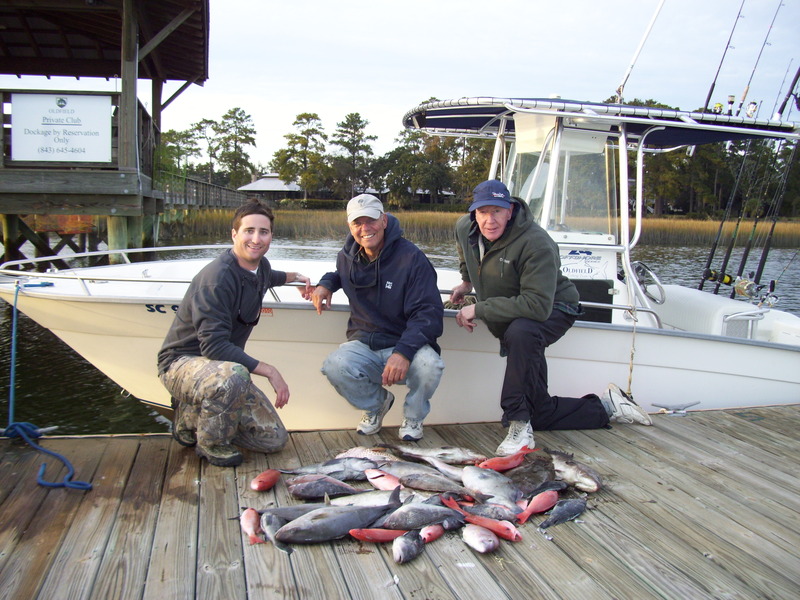 Fishing the nearshore and offshore wrecks around Hilton Head, South Carolina offers a lot of fun for all fisherman from the beginner to the seasoned angler. We have quite a number of wrecks and wreck sites in our area that are located anywhere from the nearshore waters or from 6 – 20 miles offshore. We also have excellent bottom fishing and wreck sites within the protected waters around the Sounds and Inlets. Some of these wrecks were caused as ships sunk off of the coast, but most of the wrecks (or wreck sites) were created by the South Carolina Department of Natural Resources. These man made sites hold a number of different pieces of structure that may range from subway cars to battle tanks to cargo ships… if it attracts fish the SCDNR has it on the bottom. 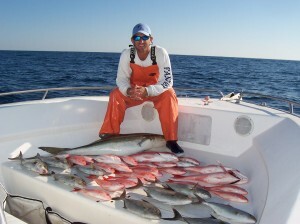 On these wreck sites we catch a number of different species of fish to include: grouper, snapper, cobia, king mackerel, spanish mackerel, sheepshead, amber jack, barracuda, sharks, flounder, redfish and sea bass, black drum, croakers and weakfish.This is just the beginning, but as you can see it is a real mixed bag. The key to the wrecks is in the structure. It has been said that 90% of the fish are in 10% of the ocean and I will tell you that this is an accurate statement. When you have endless miles of baron sand bottom there is not much to hold fish, but if you place a massive piece of structure on that bottom I can guarentee you that the fish will come. It all starts at the small level. The wrecks attract bait fish, which in turn attract lager fish which attract even larger fish. Though the wrecks hold fish year round, some times of the year are better than others as many of the fish that inhabit the wrecks are migratory. It will really depend on the time of the year that we head out as to what we may catch. I use a lot of different tackle and techniques when wreck fishing. As always I try to use the lightest tackle possible for my fishing, but this may mean a 40 pound meat stick when working on big grouper! Generally however, on the wrecks I use 15 & 20 pound spinning tackle and 30 pound conventional tackle. One of the things that I really like about fishing the wrecks are all of the different tactics that we use to catch fish. These techniques may vary from anchoring up and bottom fishing to live bait fishing to trolling. 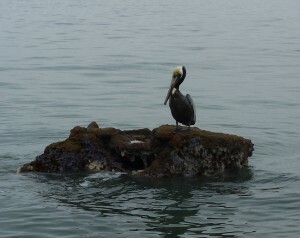 My favirote is by far live bait fishing. I know that it might sound simple but the best way to catch a big fish is with a little fish.